Timothee Chalamet felt "protected" by Steve Carell while filming 'Beautiful Boy'. 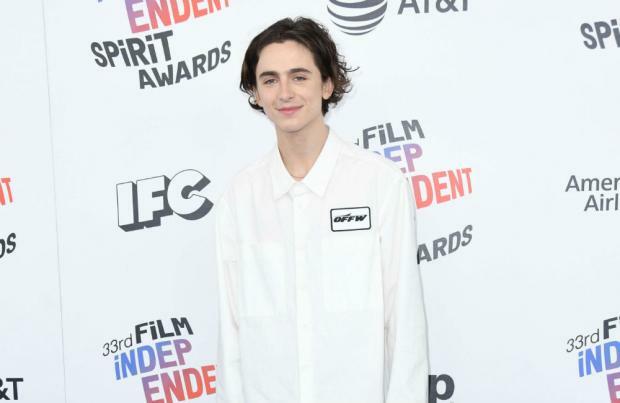 The pair play a drug-addicted son and his long-suffering father in the new movie, which is based on the memoirs of Nic Sheff and his dad David, and Timothee said Steve was hugely supportive of him on set. He told The Hollywood Reporter: "I've been watching Steve for seven years on TV. I had to audition a couple times for this, and the last time I went in was with Steve. Obviously I play his son in this film, but immediately I felt like I was in the protection of a paternal figure." And Steve, 56, revealed he was impressed with young actor Timothee, 22. He said: "He is warm, sincere, earnest and smart. You could only hope that would be your son. I have so much respect for him, and really care about him as a person." Meanwhile, Steve's former 'The Office' co-star Amy Ryan plays Nic's mother and she believes her past professional relationship with Steve helped them to foster the intimacy they needed on the big screen. She said: "I never dreamed [working together again] would have been in this story, but this story came along first, and I was so eager to be a part of it. "I think it really helped having history with each other and deep friendship and respect. The relationship in the film, they're a bit more fractured, but they find this common bond and love and step aside and would do anything for their son." However, she admitted that memories of their previous comedy work together did affect her on set. She said: "I remember in our first take together, I just started laughing, which is really wildly inappropriate for our movie."